Bradley Cooper tries to put his past behind him to become the best chef in the world in The Weinstein Company's second trailer for Burnt, arriving in theaters October 23. As Sam Keeley's David explains in the trailer, Bradley Cooper's Adam Jones is a two-star Michelin chef, revealing that getting just one Michelin star is the equivalent of being "Luke Skywalker" in the culinary world. If Adam were to achieve his goal and get a third star, he would become the "Yoda" of chefs. Chef Adam Jones (Bradley Cooper) had it all - and lost it. A two-star Michelin rockstar with the bad habits to match, the former enfant terrible of the Paris restaurant scene did everything different every time out, and only ever cared about the thrill of creating explosions of taste. To land his own kitchen and that third elusive Michelin star though, he'll need the best of the best on his side, including the beautiful Helene (Sienna Miller). Burnt is a remarkably funny and emotional story about the love of food, the love between two people, and the power of second chances. The supporting cast includes Omar Sy, Jamie Dornan, Daniel Brühl, Riccardo Scamarcio, Uma Thurman, Alicia Vikander, Lily James and Emma Thompson. Burnt is actually the third title for this project, which was originally announced as Chef, although the title was changed due to Jon Favreau's Chef, which hit theaters last year. A poster released in May revealed the title had changed to Adam Jones, but now The Weinstein Company has settle on Burnt. John Wells (August: Osage County) directs from a screenplay by Steven Knight (Locke), based on a story by Michael Kalesniko (Iron Sky). 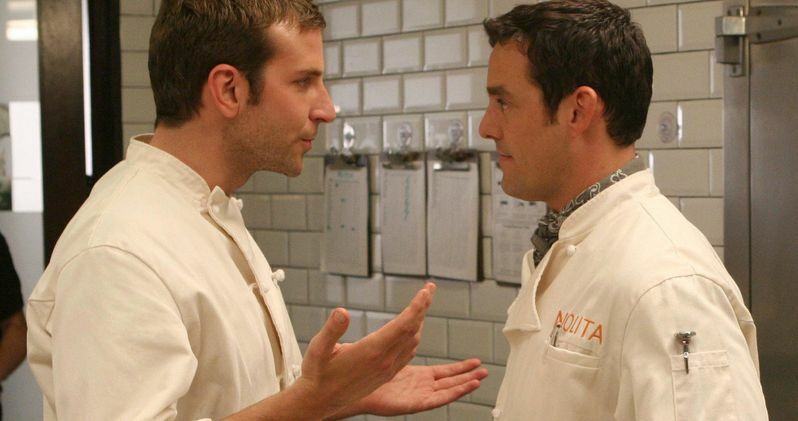 This isn't the first time that Bradley Cooper has played a chef, after his leading role in the short-lived 2005 TV series Kitchen Confidential, which only aired for one season on Fox. We'll have to wait and see if this movie brings the actor more success, but it will certainly have plenty of competition on its opening weekend. Burnt arrives in theaters October 23, opening against Universal's Jem and the Holograms, Lionsgate's The Last Witch Hunter, Paramount's Paranormal Activity: The Ghost Dimension and Open Road Films' Rock the Kasbah. This weekend is also when Universal's Steve Jobs expands nationwide after it opens in limited release October 9, and with six major studio movies all opening in wide release, it could certainly make for an interesting box office race. Take a look at the new Burnt trailer, and let us know how you think this dramatic comedy will fare on its opening weekend. Can The Martian Hold Off Burnt & Scouts at the Box Office?